Hi everyone! 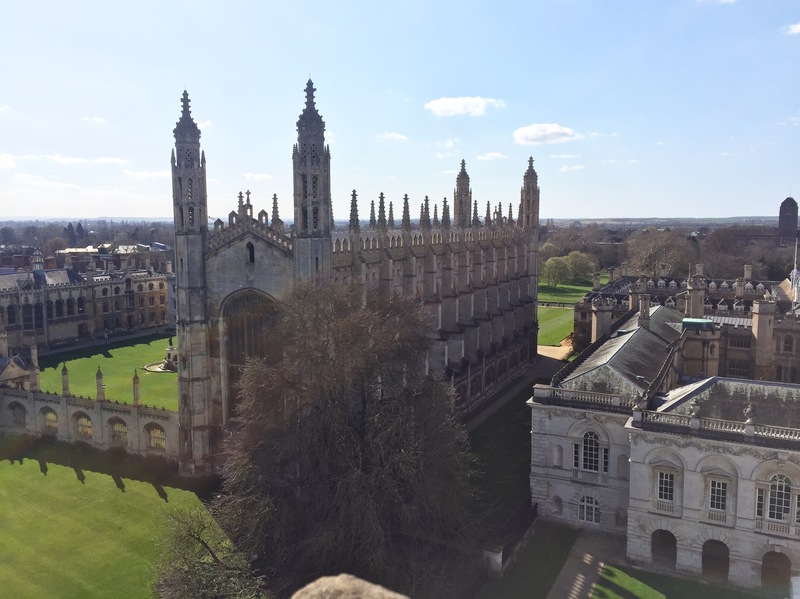 The other weekend I went on a trip to Cambridge and thought I’d give you a little insight into our day there. It only took us 1 h 40 min to get there by car so this city can easily be visited from Guildford as a day trip! Although we’re in England and it was only March, we had the most amazing weather with lots of sunshine which was perfect to explore the city. 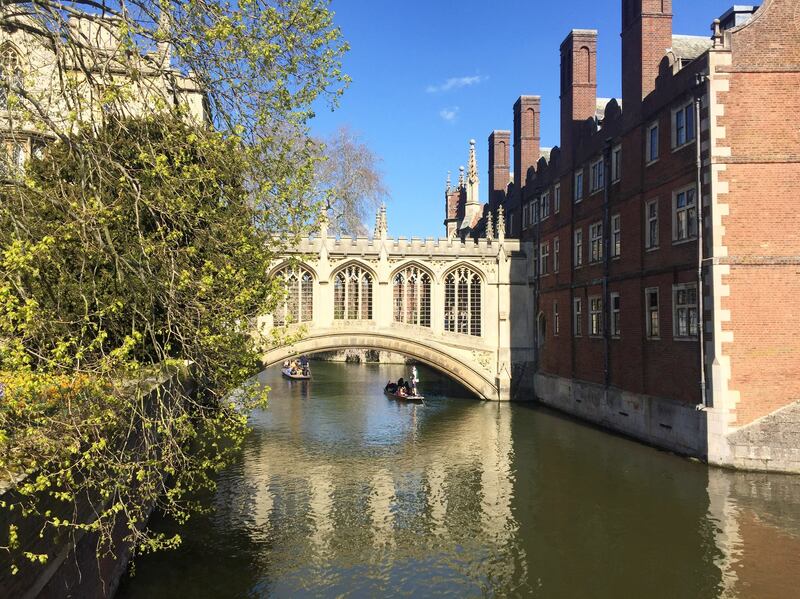 Cambridge is located on the river Cam and the first thing we did was to go on a punting tour on the river. This is one of the top tourist attractions in the city and you see these boats all along the river! A punt is essentially a flat-bottomed boat with a square-cut bow, designed for use in small, shallow rivers. The punter then propels the boat by pushing against the river bed with a long pole. This is a great way to explore part of the city including several colleges of Cambridge university. We also had great guide who told us amazing stories about the town. One of my favourite ones was about St John’s College, which is located right next to the river. This college was meant to be a filming site for the first Harry Potter movie, before site was changed to Oxford university. More interestingly though, the building is perfectly symmetrical apart from a statue representing an Eagle, which looks in one direction. Apparently the architect was obsessed with keeping it this way, so if a window was opened on one side of the building, someone had to open the same window on the other side to keep the college symmetrical! The buildings in Cambridge seem unchanged for centuries, so its possible to wander around the different colleges and experience them as countless poets, scientists and politicians have done when they went there. For example, you can visit the Eagle pub, where James Watson and Francis Crick announced the structure of DNA in 1953. The city seemed so peaceful with its beautiful gardens and parks, students and tourists relaxing on the perfect lawns and people punting along the river. 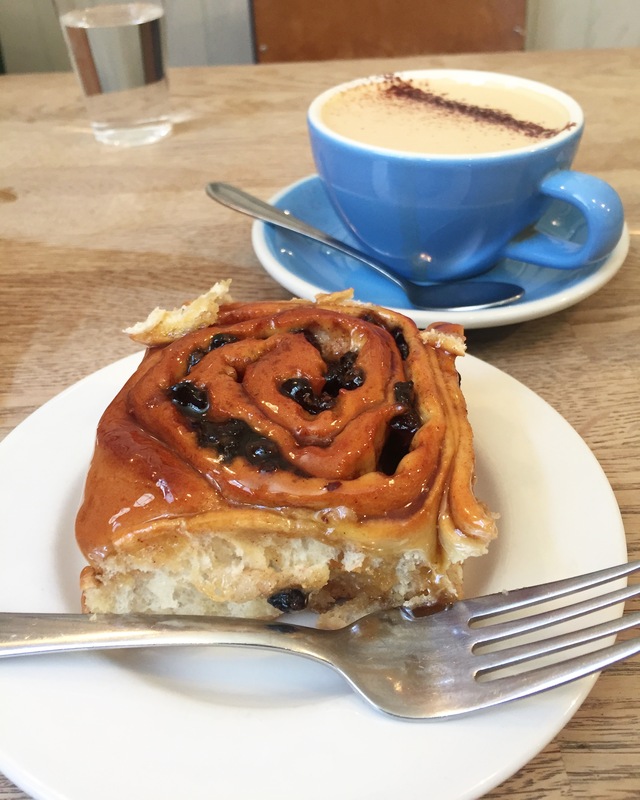 Before heading back to Guildford, we had to try the famous Chelsea buns from Fitzbillies. Chelsea buns are similar to cinnamon rolls and are made from a rich yeast dough, flavoured with lemon peel, cinnamon and other spices and topped with sultanas and syrup. If you visit Cambridge, don’t miss out on these delicious traditional treats.